The trial by tabloid of Albania’s most infamous Russian spy—that is me—has continued today. 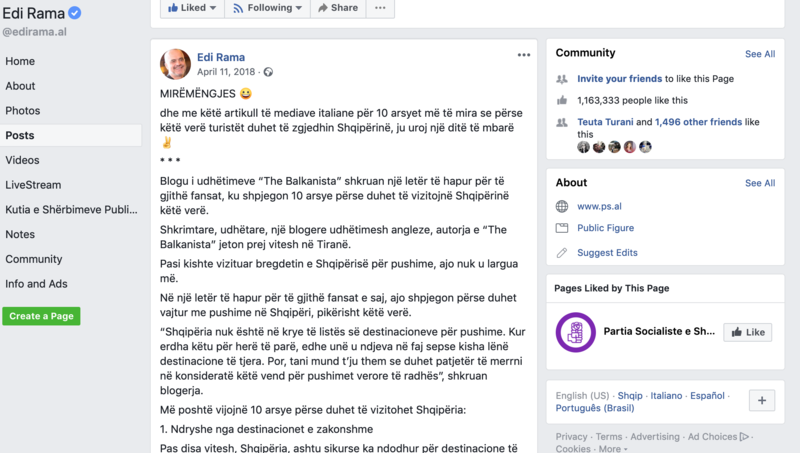 In the latest revelations from the depths of the gutter press, apparently the fact that my articles appear on Tsarizm—an American site with no Russian links whatsoever—means that I am unequivocally linked to this strange theory that we are trying to take down Edi Rama with the help of the Russians. But they are playing a very dangerous game here because whilst they say that I am a contributor just because my work appears on another sites, what they are really doing is shooting themselves in the foot. That is for one simple reason, for the last 12 months, I have been a “contributor” to the same media portals (I am not going to refer to them as newspapers as that would imply they are journalists, which they are not) that are now trying to discredit me. 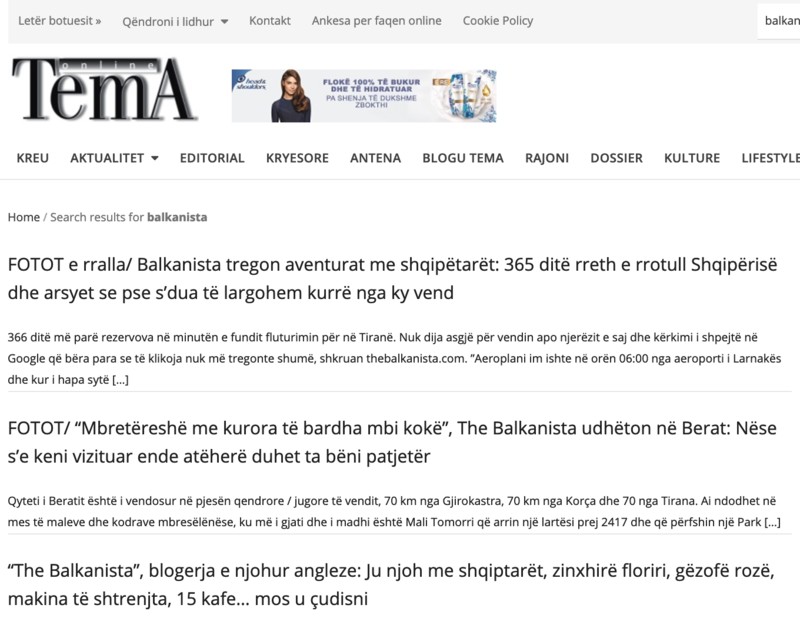 For over a year, these sites have taken my work and photographs, translated it into Albanian and published it on their own sites without my knowledge or permission—something that is actually illegal and an infringement on my intellectual property. Gazeta Tema has wilfully reproduced my work on multiple occasions, without my permission, as have Java and AlpeNews. I had even contacted Tema on several occasions to request that they remove my work from their site—something that they refused to do, again in breach of the law. Such a sham are these portals that not only do they make up false information, fake news, and lies, but they plagiarise the work of other individuals and post it on their site to boost their views. Using their logic, that if someone’s work appears on another site that means they are a contributor, surely that means I am a contributor and work for them as well? If so, thank you very much, I expect a contract, pay, benefits, a bonus, a % of the revenue you made from my posts, and an invite to the Christmas party. And I have a surprise for all these government media: their boss is my agent, and propagates my propaganda to more than a million people in his Facebook profile. 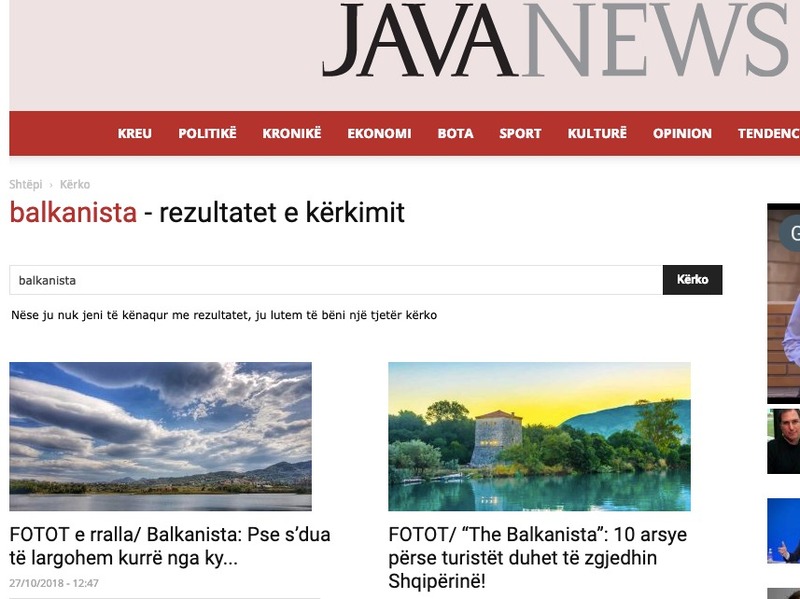 Until two days ago, in all the unauthorised publications of my articles this portals described me as “the famous English blogger” that loved Albania and works to promote its beauties and people to the world. But all changed when I dared to criticise what I do not like about Albania—corruption and Government abuse. Today, feeling deflated at the fact that I do not appear to be backing down and am in fact launching legal action against them, they decided to embark on a new round of lies. Short on facts and desperate to continue their smear campaign against an anti-corruption journalist they decided to go after the owner of Tsarizm, L.Todd Wood, a retired US Navy pilot. Woods is not linked in Russia in any way and in fact writes highly critical posts about Russia for the Washington Times—a slightly more respected journalistic tome than JavaNews. Fixated on the fact that the name “Tsarizm” sounds Russian and therefore must be Russian, they fail to even attempt to get their basic facts right. Based on this ridiculous logic, I am assuming that JavaNews is linked to the Indonesian government, Tema is funded by the Municipality of Tema in Ghana, and AlpeNews is hot off the press of the Swiss Alps? In another twist of idiocy, they have continued trying to link Mr Woods to who they refer to as a Russian national Yuri Vanetik. The article linked goes into great detail to highlight a smear campaign against Eastern Europeans—all of which were debunked and found to be rooted in racism and anti-Eastern European sentiment. 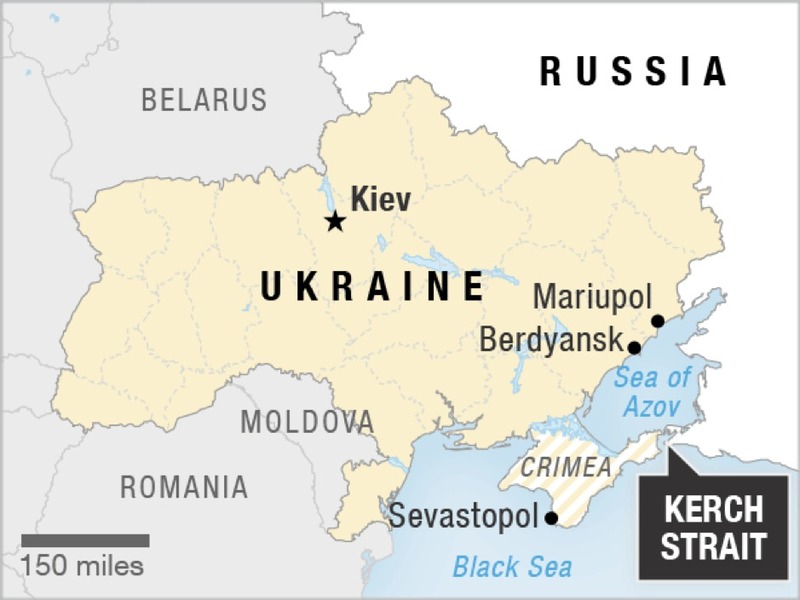 Mr Vanetik is in fact from Ukraine which is a completely different country to Russia—some may even note that the two nations don’t particularly like each other. For the editors of the aforementioned portals, here is a handy map for you, just to alleviate any confusion. In one discussion with one of these portals last night, they continued to insist that because my partner was in attendance at the last protests and is taller than almost everyone else in the crowd, that he must be a bodyguard. I pointed out, feeling like I was explaining to a toddler that there are in fact tens of thousands of people also visible in those photos and they are not all bodyguard’s of Lulzim Basha. My partner stands at 195 cm tall, I am 188 cm tall- this does not mean that we are security guards/bodyguards or anything similar, it just means that we are a lot taller than most of you. Attending a protest is not a crime and in fact it is an exercise of the individual’s democratic right. What kind of left-over, dried-up and washed-out communist reasoning is it that you assume someone is guilty of something just for attending a protest. If journalism in this country has come to the stage where we assume someone’s job role based on their height, then honestly, there is very little hope for you at formulating any other kind of rational or intelligent argument.